Literacy: although it may have a simple definition, it does not have a simple meaning. The meaning of literacy can’t be pinned down in a clever phrase or an example. It is only seen through the opportunities it presents or perhaps takes away. According to a study by the U.S. Department of Education 32 million adults in the U.S. cannot read, a number that has remained stagnant in the last decade. That is 32 million missed opportunities to change a life for the better. The doorway to literacy, however, can be one book. The unfortunate reality is that not every family has the disposable income necessary to buy a book. When many families are fighting to even put food on the table, the purchase of a book may be almost impossible. That is why SPLC on Campus @USF decided to host a book drive. The area surrounding USF is very economically disadvantaged and we felt it necessary to help in this particular way. We set up a donation box and tried to get the word around campus. 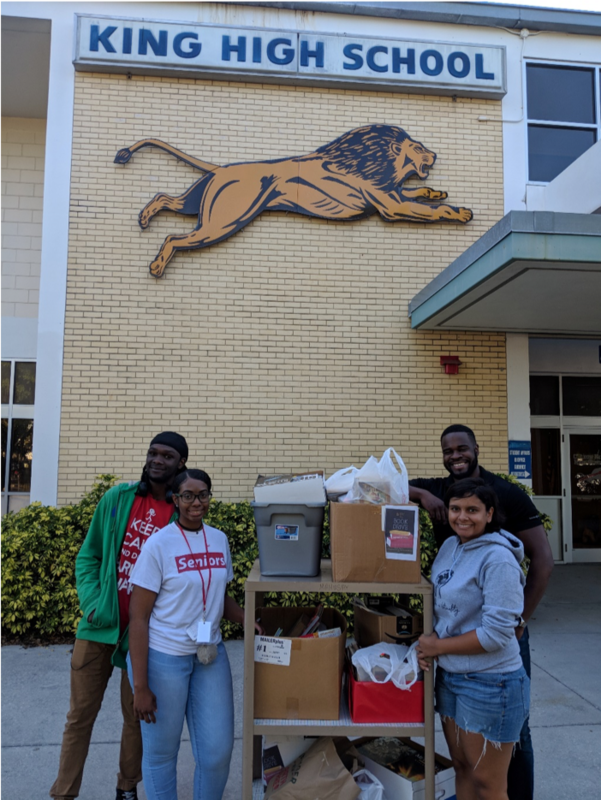 After collecting about 150 books, SPLC on Campus @USF dropped them off at the local King High School. The media specialist of the school, Barrett Zebos, was very grateful for the donation and thanked us profusely. This experience reminds me of why I joined SPLC in the first place just a few months ago. In these short months, I’ve experienced how to advocate for the marginalized members of my community in effective and helpful ways. According to the Department of Justice, “The link between academic failure and delinquency, violence, and crime is welded to reading failure.” So, when this link is broken, the school-to-prison pipeline becomes less clogged and our society becomes more just. Based on this experience, I look forward to the next project that SPLC on Campus @USF can start to help our community. Maria Ranoni is a member of SPLC on Campus at the University of South Florida.